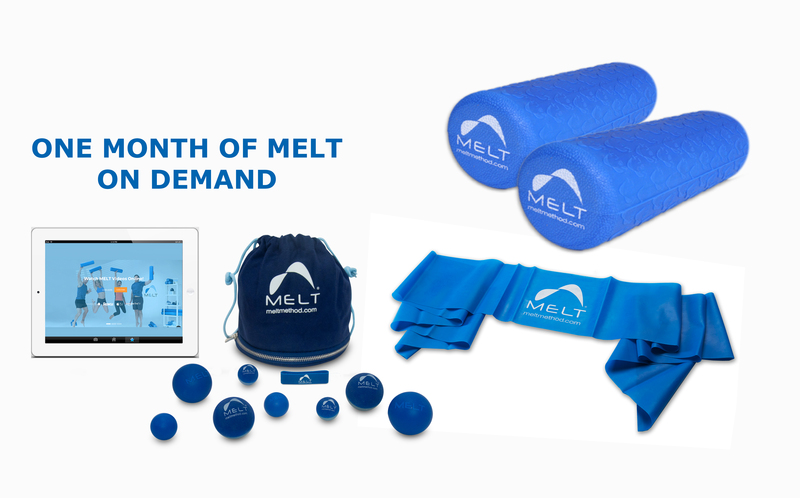 The MELT Super Bundle contains everything you need to start MELTing now. 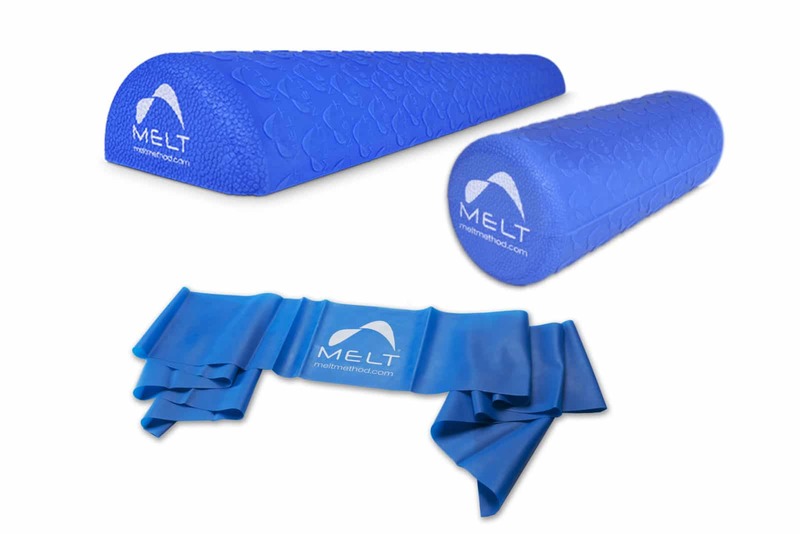 Save when you buy them all together! 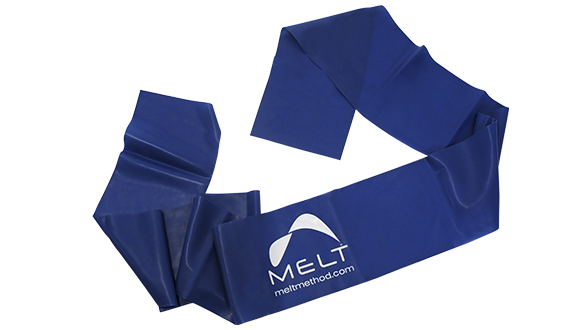 The MELT Roller Bundle lets you save when you order the Soft Body Roller and the 3-disc MELT Method DVD together! 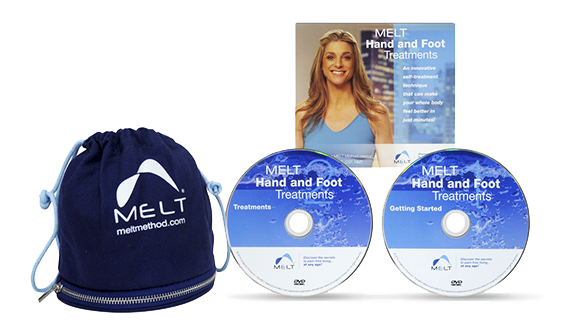 The MELT Hand and Foot Kit Bundle lets you save when you order the Hand and Foot Treatment Kit and the 2-disc Hand and Foot Treatments DVD together! 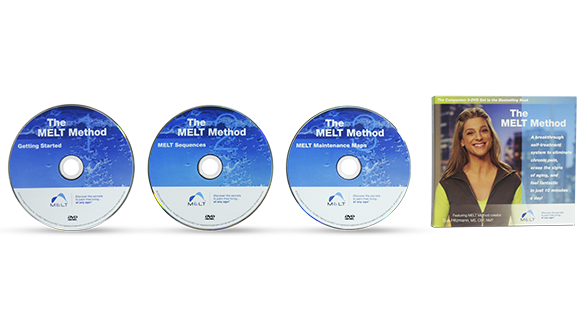 The MELT Performance Bundle contains everything you need to start MELT Performance now. 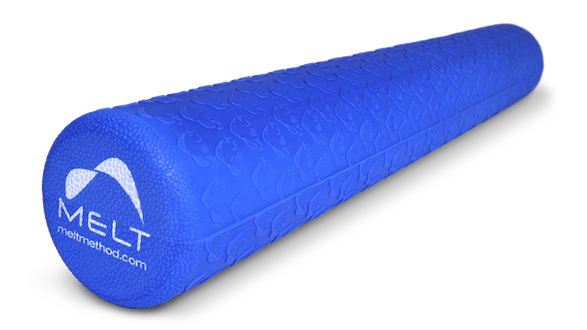 Save when you buy them all together! 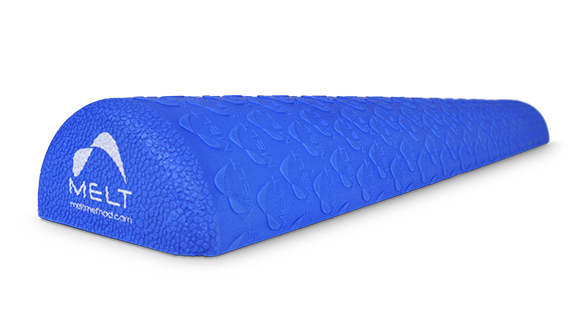 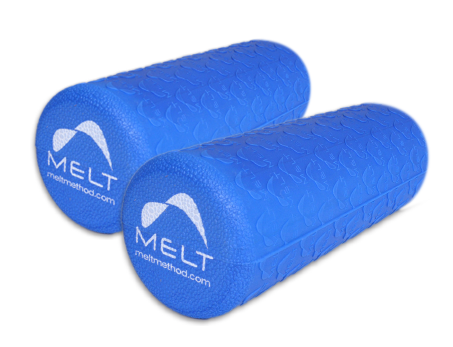 The MELT Performance Roller 2-Pack contains two 16″ Performance Rollers, which can be used individually or together, for all MELT techniques, whether at home or on the go. 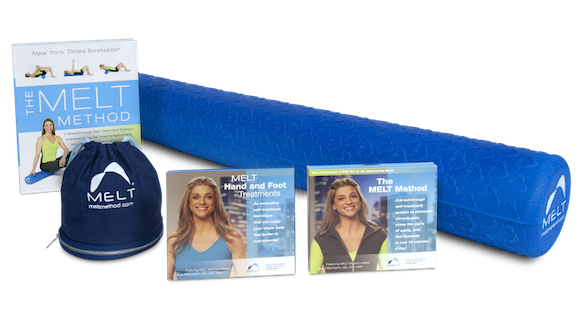 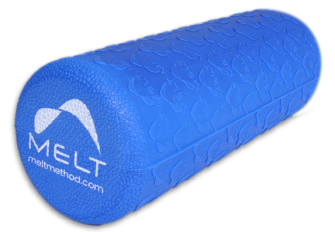 The MELT 2-Pack Performance Bundle contains two 16″ Performance Rollers, the 3-disc MELT Method DVD, the Hand and Foot Treatment Kit, the 2-disc MELT Hand and Foot Treatments DVD, and the MELT Method paperback book. 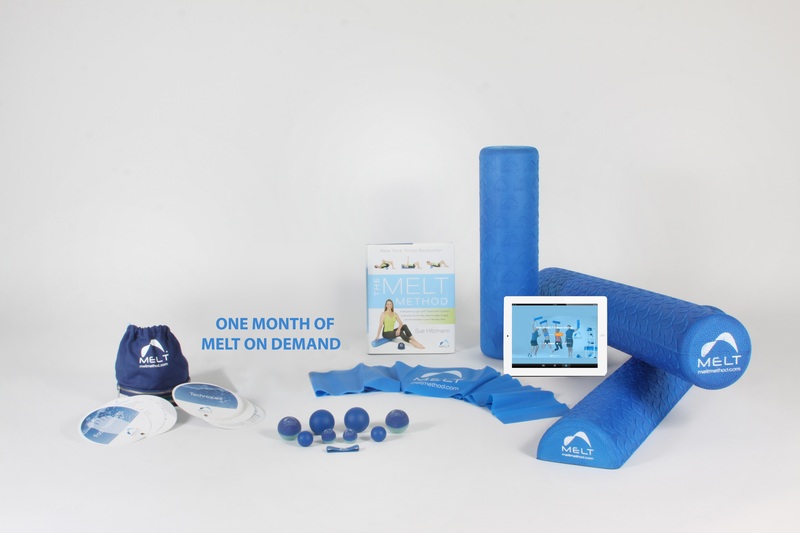 This bundle is valued at $200 – save $40! 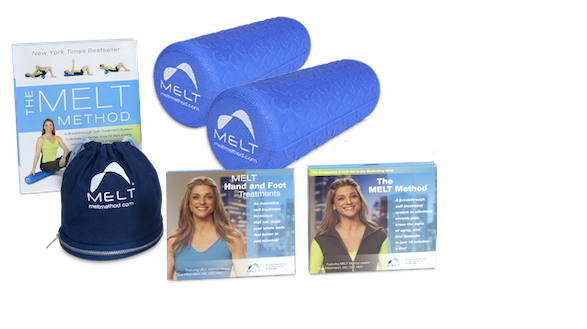 The MELT Travel Bundle contains two 16″ Performance Rollers, a Performance Band, the Hand and Foot Treatment Kit, and one month of MELT On Demand – it is the most affordable option to help you reach your fitness goals, improve your stability, and reduce your risk of injury. 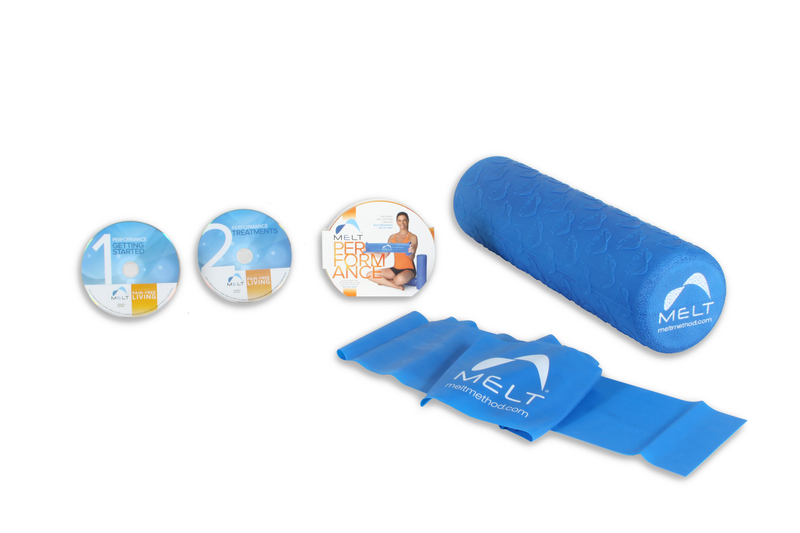 This bundle is valued at almost $160 – save $30! 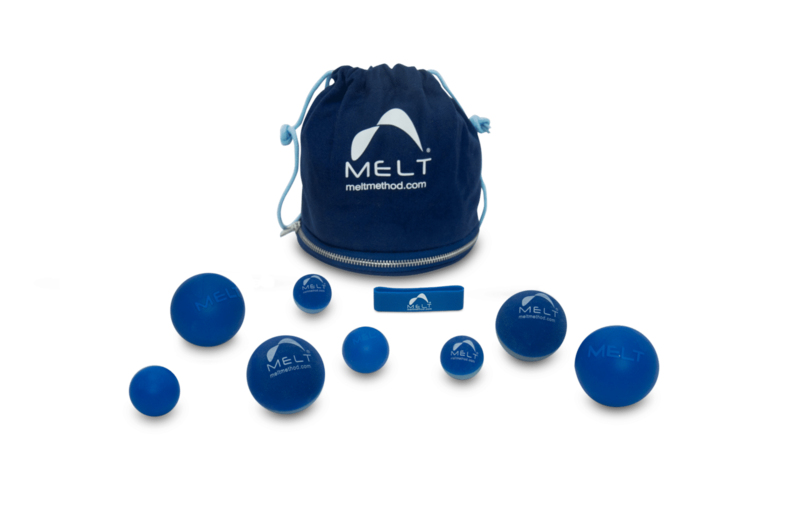 The MELT Performance Super Bundle contains everything you need to start MELTing now. 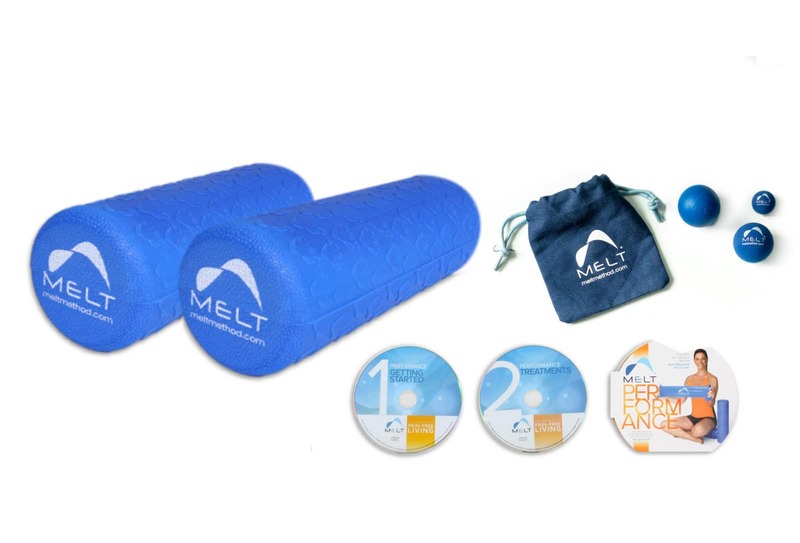 Save when you buy these products together! 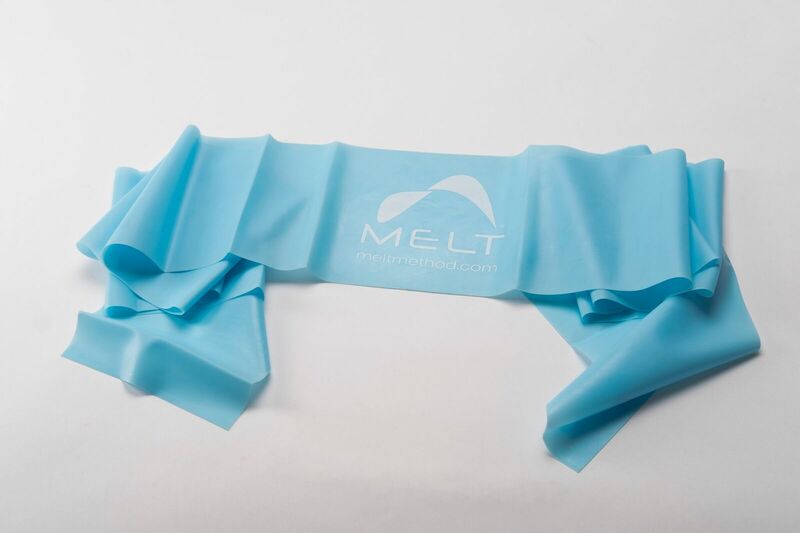 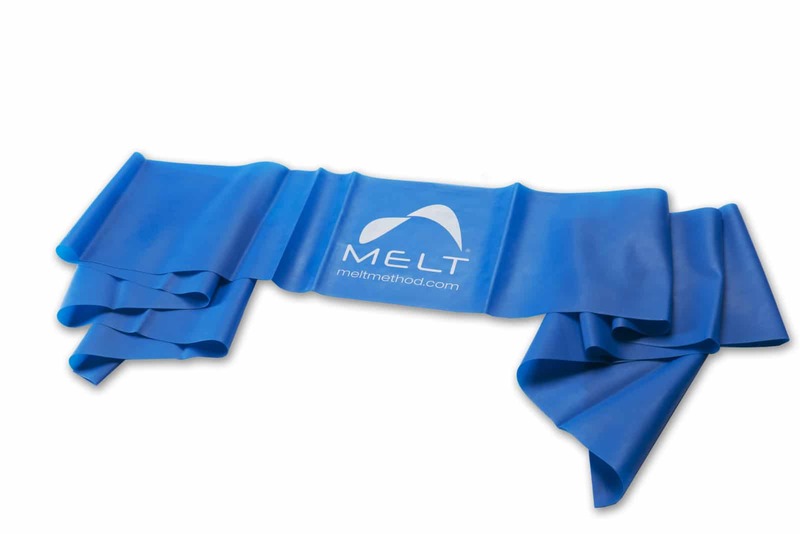 The MELT Pilates Bundle contains everything you need to start your MELT for Pilates practice. 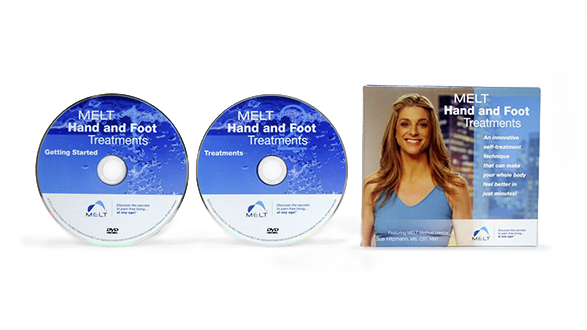 Save when you buy these products together! 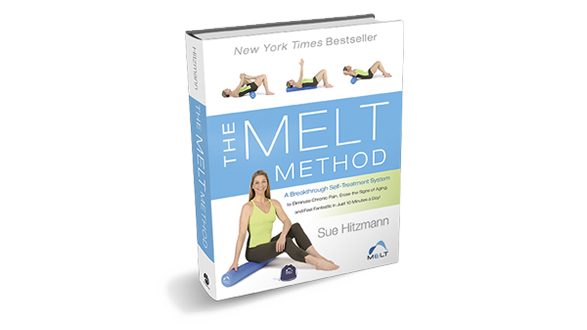 Join MELT creator Sue Hitzmann July 19-22 for a rejuvenating MELT Self-Care Retreat at the world-class Red Mountain Resort in Ivins, Utah. 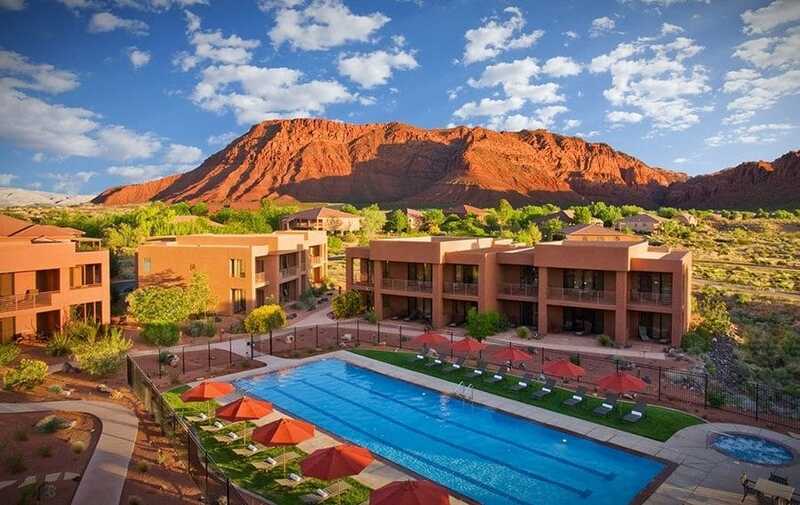 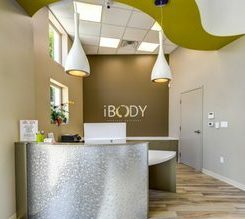 Nestled against the inspiring beauty of Snow Canyon state park, this getaway offers the opportunity to rest, refresh, and relax. 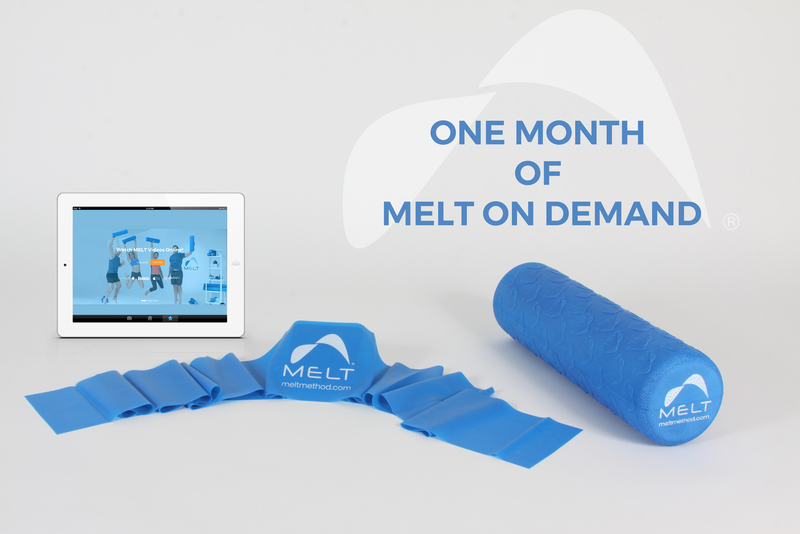 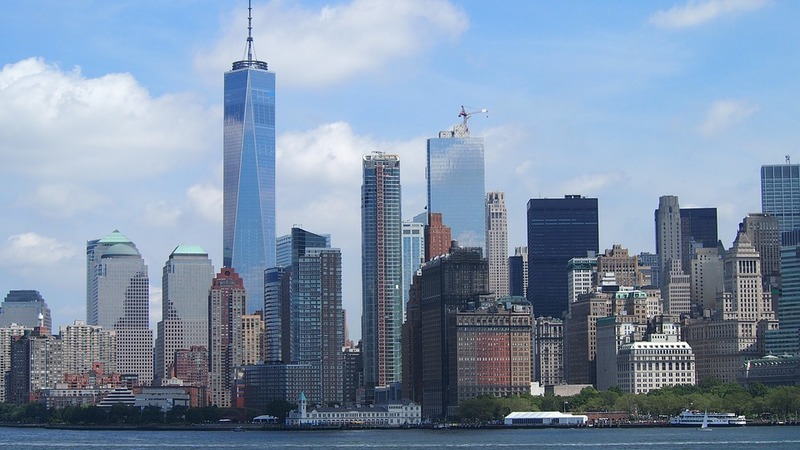 Register now - price increases after April 22, 11:59pm. 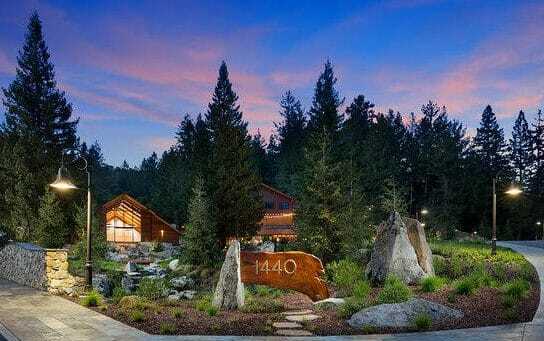 Take this rare opportunity to spend a retreat weekend with MELT Method creator Sue Hitzmann at 1440 Multiversity, a 75-acre campus beautifully nestled in the California redwoods near Santa Cruz.